WordPress is one of the power-packed CMS platforms to develop rich featured websites with lots of plug-in and themes. Regardless to the fact that, It is also one of the most hacked CMS platforms across the web. Security of any website is a big concern for webmasters but the risk of cyber-attack is much higher with WordPress website. Google has blacklists around 20,000 websites for malware and security issues and WordPress infections have increased from 74% in 2016 Q3 to 83% in 2017. But still, WordPress is getting popular amongst the competitor CMS platforms. Now you might be wondering that after such huge possibilities of cyber hack how WordPress is getting more popular day by day? The answer is pretty simple that, there are no more issues in the original WordPress platform but the problem is with the webmasters who are not updating their websites and not maintaining the security levels of their website. I have seen many webmasters are neglecting the security of WordPress. This is open source; hacking & malware attacks. This is partially true because there are lots of golden rules of securities to keep website more secure to overcome hacking and malware but you cannot blame WordPress. As an online business owner, it’s your responsibility to keep safe your website from malware and hackers attack. Because of such threats it creates serious problems in generating revenue and establishing good reputation in market. Your data may be lost or hackers can steal your user information. You and your WordPress developer have done everything on your website by keeping in mind about the users and target market with lots of hard work. Finally, your website is ready to go live. But still, there are some security factors you need to check right from the beginning as soon as you make that available on the web. Here I will share the security points of WordPress website to make more secure to escape from online hackers and gain the trust of users. The back-end of WordPress website can easily be accessed by users through its standard login page URL and through that people try to do brute force. Customized login page URL with /wp-login.php or /wp-admin/ can limit the login and page interaction. Lockdown feature prevents repeated brute force attacks with repeated wrong password attempt and notify the unauthorized activity of website and gets the site locked. A strong password which you have never used before in website gives high security to your online accounts. The possibility of getting hack is very less with a unique password. So try a unique password with a combination of cases, numbers, and symbols with a recommended length of minimum 12 characters. Two-factor authentication (2FA) is a good security step to get full access to the website. In this case, the user provides login details for two different components and these components may be a regular password followed by a secret question, a secret code, a set of characters, etc. set by the website owner. Log in to your account with email instead of username is the more secured approach. If you are logging in with your username, you can replace that with your email id for more security. Hackers can easily guess the username rather email. Make sure to come up with a new email for your new website for secure login. The chances of brute force attacks are much higher with WordPress Plugins because these are vulnerable. If you have unused Plugins on your website, then delete these immediately because hackers may hack through the old Plugins easily. Old and unused Plugins are not secure for your website. Hackers are always searching for weakness and to overcome such situations you need to update your used Plugins regularly. Updating of Plugins maintain the security level and new features can get available. For faster login access, you might be using social media platforms to connect your website but this is not secured. For safe practices, you need to remove social linking because valuable information is passing through your social media platforms. Keeping them separate can at least make it more likely that security issues with one don’t end up affecting other accounts as well. For smooth operation and better service, you need to consider the internal and external security of your website. Firewall prevents potential safety hazards of the website. So it’s better to install the firewall in your system for internal security. The wp-admin directory is the main part of your website and if you lost control over it then you may be lose your entire website. Secure passwords can save you. As a webmaster, you need to implement the two secure passwords, one for login page and another for admin areas. If the website users are required to get access to some particular parts of the wp-admin, you may unblock those parts while locking the rest. SSL (Secure Socket Layer) certificate is another way to increase the security level of WordPress website. SSL helps in safe data transfer between the server and user browser. This is one of the strong securities which not only helps in secure data transfer but also helps in improvement in ranking on top search engines. So make sure to purchase this and use this on your website as quickly as possible. Backup helps in quick recovery of your data. All of us we are trying hard to keep our website and data safe with heavy security. But we MUST NOT forget the backup data of the website. Keeping the backup of website data should be a regular practices since this can save you from disaster by recovering of data. Hackers do continuously try to hack any website with different methods. There are Plugins which can help you take regular backup of the website automatically and keep you safe with quick recovery. You know FTP, SFTP, or SSH are the mediums to connect the server. SFTP or SSH is more secure connection comparing to the traditional FTP because FTP has certain security leaks. Safe and secure file transfer always good for the website. You hosting provider might handle this server part otherwise you would need to do it manually. Just like in the real life you need to keep your digital assets more secure. Keeping WordPress website secure is the most important things for any webmaster to gather user trust and generate more revenue. The possibilities of website hack can be prevented with quality security update regularly by the website owner. 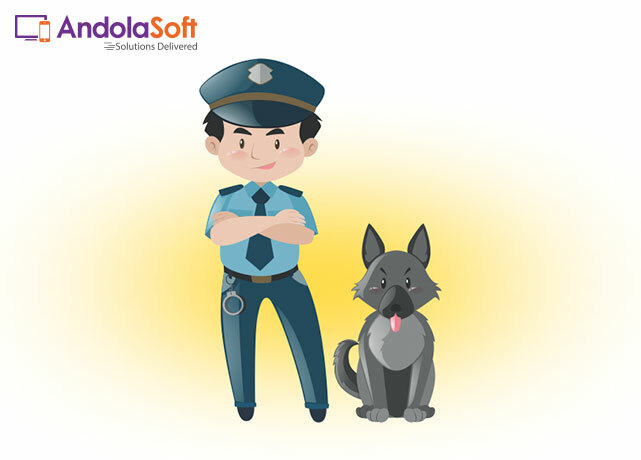 There are lots of security measures in WordPress and I have mentioned few of them in this article which will help you a lot. Appreciate if you would share your valuable ideas and problems with comments so that I will try to reply each of them.